As Saturday dawned bright and moderately warm we decided to drop the top on the Z3 and drive down to Calne to take a look at the Atwell Wilson Motor Museum which sits on the outskirts of the town. With probably no more than half a dozen other visitors in the building it wasn’t exactly crowded, and it was nice to be able to get up close and personal with some of the exhibits. 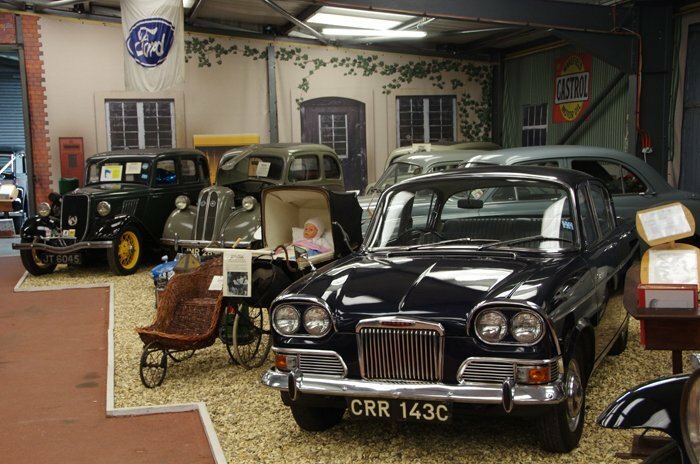 They have an ‘eclectic’ range of vehicles on display , ranging from the 1920s through to the eighties and most are in pretty good condition. The only Triumph car on display was a Dolomite Sprint, which was apparently on loan from the Heritage Collection at Canley, though there was a nice little Standard from the late 20’s and a 1920 Triumph 550 motorcycle – which by all accounts was the model that gave Triumph their first success before they went into car manufacturing. 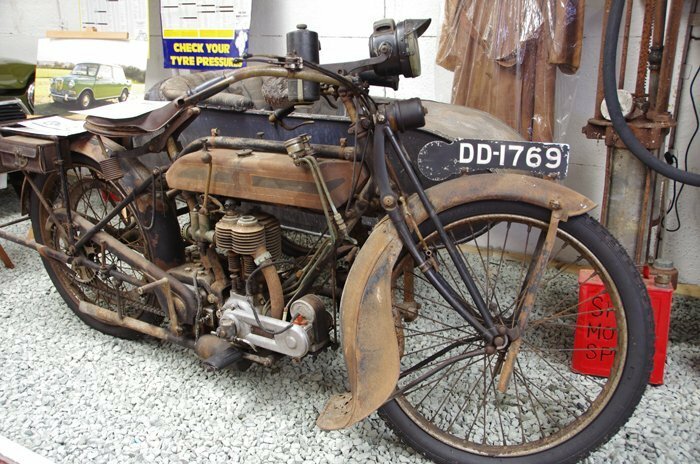 Apart from the tyres this is exactly the state it was found in after sitting in a garden for 80 years. On our way home we stopped at Avebury to get a meal in the pub and then walk round the Stone Circle. 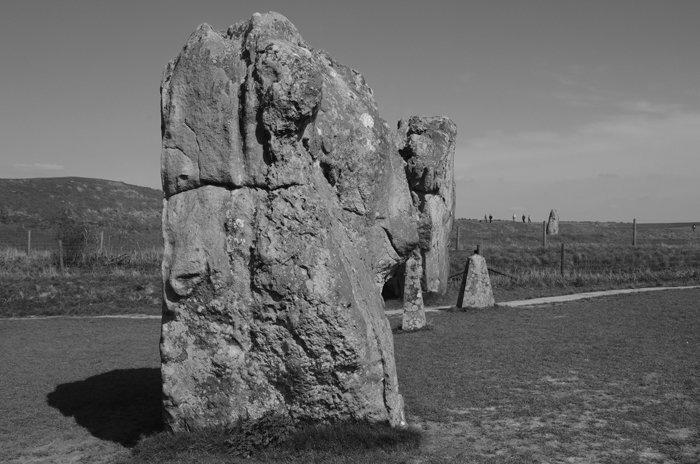 Fascinating place (the Circle, not the pub) and much more accessible than Stonehenge – well worth a visit. I’m pretty sure they didn’t have colour film in Neolithic times!